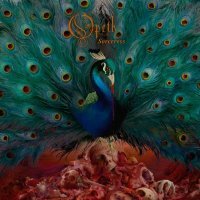 Constantly evolving since their inception, Opeth have changed beyond all recognition over the last few albums, alienating some fans of their Progressive Death origins but picking up many new ones with their melodic and thoughtful Progressive Rock. So, if you were hoping for a return to the angry days of yore you might as well stop reading now as 'Sorceress' finds the mercurial Swedes travelling even further down the road of clean vocals and tuneful instrumentation. This is their fourth album without Mikael Akerfeldt's grunt vocals and as the last two albums have been the highest charting of their career in most territories, it's unlikely the cookie monster will be making another appearance anytime soon. Like its predecessor 'Pale Communion', 'Sorceress' was recorded at the legendary Rockfield Studios in Wales and is their first for the rapidly expanding Nuclear Blast label, in collaboration with their own newly-formed company, Moderbolaget. Book-ended by the beautiful instrumental 'Persephone' on Classical guitar and the same song played on piano, the nine songs in-between are slightly shorter than the norm but cover just as much ground, the first curve ball coming with the bass driven intro to the title track before it slows down to a Doomy but enjoyable song with a stop/start mid-section. 'The Wilde Flowers' is Neo-Prog with heavier guitars and gentle interludes and both the wonderful 'Era' and punchy 'Chrysalis' are lively Rockers with mellow breakdowns, whilst the Folk influences on the superb 'A Fleeting Glance', the sequel 'Sorceress 2' and the acoustic-based 'Will O' The Wisp' work so well, with Akerfeldt even channelling Ian Anderson on the vocal delivery of the latter. Perhaps the most surprising tune on offer is 'The Seventh Sojourn' with its Eastern rhythms, acoustic guitars and sweeping orchestration, it even has a choir at the end, but on an album of highlights it's possibly 'Strange Brew' that takes top honours, flowing seamlessly from a gentle intro to lively Prog Metal, it has a brilliant Bluesy guitar solo from Fredrik Akesson before ending as a stunning ballad. It should come as no surprise that the recording and mix is pristine and would lend itself to another of Steven Wilson's surround sound masterpieces, if that isn't already in the plan. 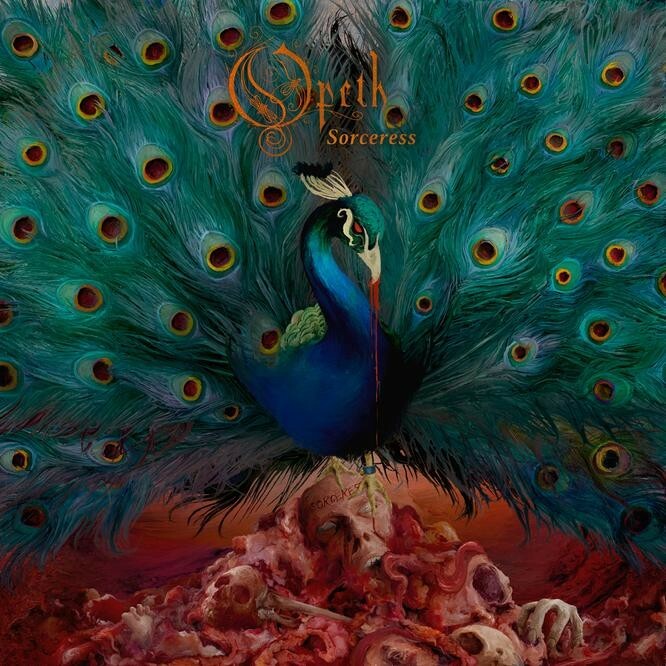 'Sorceress' is a lot to take in, but for me it's already surpassed '...Communion' and 'Heritage' and has 'Blackwater Park', 'Ghost Reveries' and 'Watershed' in its sights.